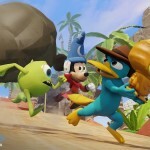 Disney Infinity continues to have great success at retail as we approach the one-year anniversary of the gaming platform’s debut. Counting just the starter packs alone, over 3 million had been sold as of the beginning of 2014. The all-important month of December, where much of holiday shopping occurs, was responsible for moving over 550,000. 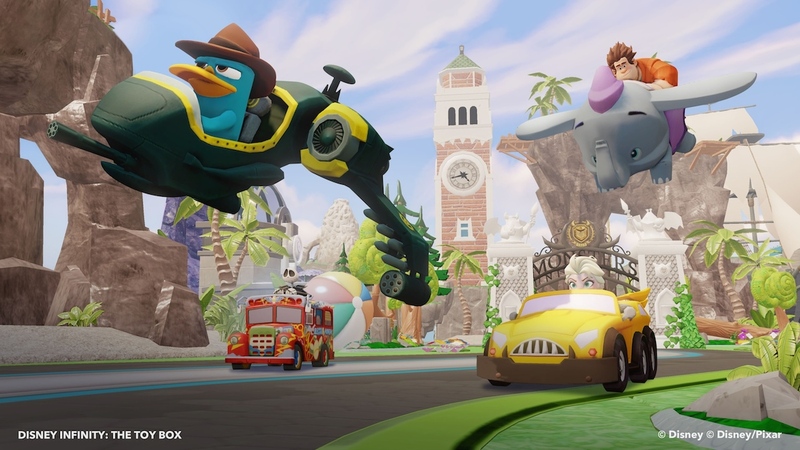 There are no signs of letting up, as the newest Toy Box pack, comprised of characters from the enormously popular Phineas and Ferb, is headed to stores next week! 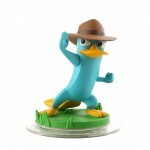 Phineas and Agent P have made it to the big time, representing the hit show on Disney Infinity with two collectible figures. 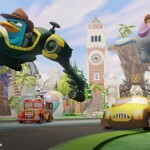 The Toy Box pack packages the two figures along with two exclusive power discs that unlock themes that will look familiar to fans of Phineas and Ferb. First previewed at last month’s Toy Fair in NY, the new set adds great value for both owners of the game and fans of the show. I had the opportunity to preview the figures’ inclusion in the game at Toy Fair and loved what I saw. For the past week, I got the chance to play with the two characters myself, and although I have not seen many episodes of the TV show, I can see the appeal of Phineas and Agent P. The figures, themselves, look fantastic, continuing the cartoony-inspired look we have come to see from previously released figures like Sulley from Monsters, Inc., Jack Sparrow from Pirates of the Caribbean, and Woody from Toy Story. Their on-screen mechanics work rather well, not much of a surprise given their counterparts’ performance. 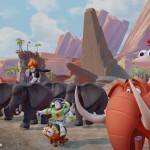 They each have their own adventures you can undertake, which are unlocked when you place the figures on the Disney Infinity mat. 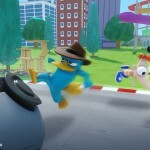 You do not have to be a fan of Phineas and Ferb to enjoy watching the characters’ antics in the game. At the very least, the physical figures will add to your collection (hopefully, you have figured out a way to display the Disney Infinity figures beautifully), but the great set (priced at $29.99) succeeds at providing you with more entertainment, an area in which the game has certainly mastered. It goes on sale on Tuesday, April 1st (yes, really – it is not some April Fool’s joke)! 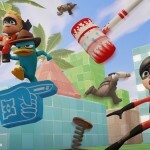 The new Toy Box Pack features the immensely popular Phineas and Agent P characters from Disney Channel’s animated series “Phineas and Ferb.” Players will be able to embark on secret spy missions and defeat enemies with Agent P’s flying fedora or Phineas’ baseball blaster and tuck n’ roll moves. Both character figures are accompanied by their own unique Adventures. In the Phineas Adventure, players are set into a giant pinball machine and challenged to create a play field where they can destroy waves of oncoming robots.In the Agent P adventure, players can participate in a top-down adventure with side-scrolling elements that pay homage to old school arcade games. 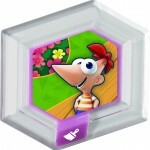 The Phineas and Ferb Toy Box Pack will also include two new power discs to give players’ Toy Boxes a makeover. The “Tri-State Area Terrain” Texture Set and the “Danville Sky” Sky Theme will provide players with well-known location backgrounds from the show, including the Doofenshmirtz Evil Incorporated building and a small waterslide park invented in one of the cartoon’s episodes. The Disney Infinity Phineas and Ferb Toy Box Pack will be available nationwide starting April 1 for a suggested retail price of $29.99. The Circular Power Discs grant characters special power ups that can be used in both Play Set and Toy Box modes. 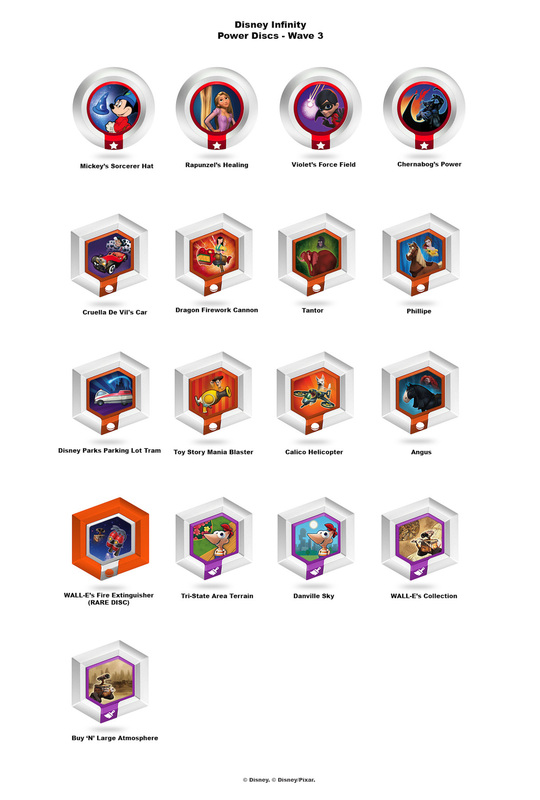 Hexagonal Power Discs unlock special gadgets, vehicles and themes to allow for even more customization opportunities within Toy Box mode. Players can stack up to two Circular Power Discs or up to three Hexagonal Power Discs to optimize all the add-ons. The third wave of Power Discs will also hit stores on April 1 in blind packs of two for a suggested retail price of $4.99. 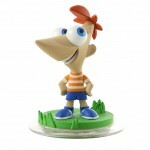 Both the Phineas and Ferb Toy Box Pack and Wave 3 of the Power Discs go on sale next Tuesday, April 1st!